Cincinnati is a great place to visit with children, offering a huge selection of both indoor and outdoor activities to keep little minds and bodies happy and healthy. Children of all ages will love visits to the Cincinnati Zoo and the Newport Aquarium, while a number of great museums will ensure that your children learn while they explore. There is nothing quite like an amusement park to keep the entire family entertained. 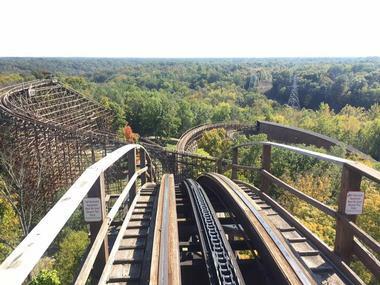 Kings Island is more than just a collection of rides – it features three heart-stopping roller-coasters including The Beast, which is the longest wooden roller coaster in the world. At the other end of the scale you will find four roller-coasters suitable for younger children, parents and even grandparents. Besides a host of thrilling rides for older children you will also find carousels, train rides and many other activities for younger visitors and their parents. And then there is Soak City, where all ages can have hours of fun in two wave pools and on more than 50 water activities. 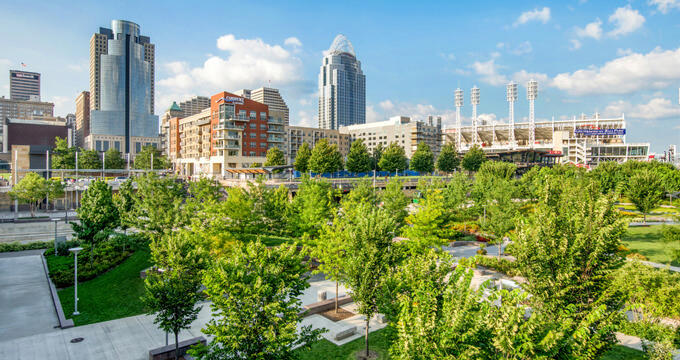 When you need a break from the bustling city, Smale Riverfront Park is the ideal place to spend a few hours enjoying some outdoor activities. You can start your visit by taking a walk along Race Street Promenade which offers great views of Cincinnati’s famous Roebling Suspension Bridge. You can enjoy a snack from one of the many pushcart vendors as the children have some fun at the P&G Vibrant Playscape. Children can take a ride on a flying pig on the Cincinnati Carousel or you could bring your bikes and spend some time exploring the bike path or simply taking a walk through the gardens. There is also a mini water-park area where kids can cool down on hot days. 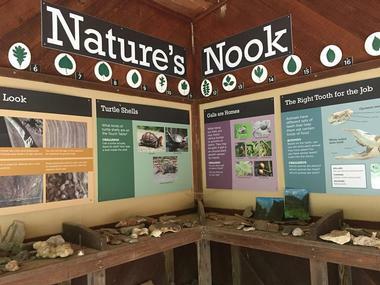 The Cincinnati Nature Center has two outstanding outdoor venues where children and their families can enjoy active play surrounded by nature. The Rowe Woods venue in Milford has 17 miles of hiking trails which meander through an area of forest, fields, ponds and streams. There is plenty of wildlife to be found along the way and you can teach your children how to look for nests, burrows and other exciting finds. If your family does not enjoy hiking you can bring the younger children (11 years and under) to have some fun at the Schott Nature Playscape where they can enjoy creative play including fort-building and fun in the MudZone. You can unleash your child’s creative potential and introduce them to the magic of live performance by enrolling them in one of the many courses and workshops on offer at the Children’s Theatre of Cincinnati. Children as young as two can learn about music, dance and drama as they enjoy stimulating classes meant to build their confidence and encourage them to use their imagination. For older children TCT offers classes in drama, singing, dancing and music during each of their 15-week courses. If you are just visiting Cincinnati you can bring the whole family to watch one of their delightful productions at the Taft Theatre or Red Bank. At the Krohn Conservatory in Eden Park (which runs along the west bank of the Ohio River), you and your children can visit a tropical rain forest, a desert and a butterfly habitat without setting foot out of the city. The conservatory is an ideal attraction for children who can learn about the various habitats of the world and the amazing plants which thrive in them. 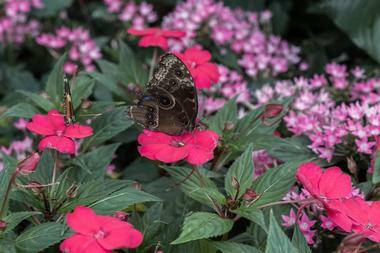 The conservatory hosts three annual shows including the very popular Butterfly Show which runs from late March to June. If you visit during the show your children can admire thousands of free-flying butterflies in a beautifully themed garden setting. There is free admission for children less than four years of age. The National Underground Railroad Freedom Center is conveniently located in downtown Cincinnati, along the banks of the Ohio River. The center is dedicated to the abolition of slavery of all forms, using education to enlighten people and inspire everyone to get involved in world-wide struggles for freedom. Children will learn all about slavery and freedom in America and all over the world, as well as the insidious epidemic of human trafficking which is a world-wide phenomenon. The center host tours for thousands of scholars each year, enabling older school children to learn about the topic of slavery and trafficking in a meaningful way. Step onto the Shark Bridge – if you dare. Your children will have the time of their lives learning about the underwater world in a succession of fabulous marine habitats at the Newport Aquarium, less than two miles from Cincinnati. The Shark Bridge is an innovative 75-foot suspended rope bridge which will take you over a giant tank filled with sharks, rays and other marine creatures. Children can learn all about the mysterious world of the octopus at the Ring of Fire exhibit, come face to face with sea horses in the interactive Unbridled Fun exhibit and crawl through an underwater tunnel in the Stingray Hideaway. Little visitors will especially love touching the inhabitants of the Touch Tank. The Duke Energy Children’s Museum is a fascinating attraction for children of all ages (and their parents). Your children will have hours of educational fun without even noticing that they are learning. 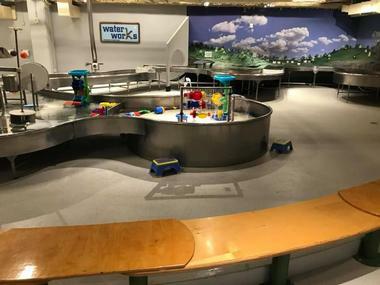 The Museum has eight theme-play areas, of which two have been specially designed for pre-schoolers and even toddlers. As the kids enjoy climbing, crawling and having fun they will be learning all about the world around them and their place in the world. If you live in the area you can become a member of the museum which will allow you to explore for an hour on Mondays and Saturdays before the museum opens to the general public. One of the easiest ways to instill a love of nature in your children is to get them out into the wilds as often as possible. The California Woods and Nature Reserve are located close to downtown Cincinnati and cover an extensive area of over 113 acres of forested green space. There are miles and miles of hiking trails to explore and your children can expect to come across many birds, insects and small animals along the way. You can bring along your binoculars – the reserve is located immediately adjoining the Magrich Preserve, which is a designated important Birding Area. Outside the Nature Center children can admire the butterfly and hummingbird garden. Many families bring along a picnic and stay for the day. A visit to the Cincinnati Zoo and Botanical Garden is an ideal way to entertain the entire family. The zoo is an exciting and stimulating destination for children of all ages – stroller rental is available on site for the little visitors. 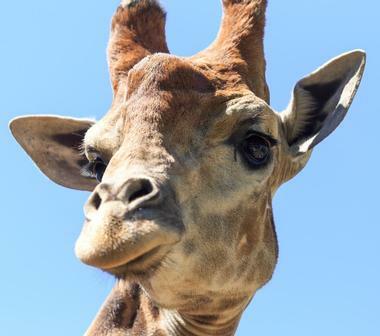 The zoo offers a variety of animal encounters throughout the day – you can stop by the Welcome Center to see feeding times and get some help planning your visit so that you do not miss out on meeting your favorite animals. A good way to get your bearings is to hop aboard the BB&T Express for a family train ride around the zoo. A few of the highlights of any visit to the zoo include the short 4-D movie shows, the animal-inspired carousel and seeing Fiona, the baby hippo. Watching the Cincinnati Reds in action at the Great American Ball Park is a must-do activity to add to your Cincinnati itinerary. The huge ball park can accommodate over forty thousand fans and has a game-night atmosphere second to none. If you happen to be visiting during Reds Fest (usually late November) you can bring your young baseball fans to meet their heroes, get autographs and perhaps get a photo with their favorite player. If you live in the area your children (of all ages) can join one of the Reds’ children’s programs and receive special Reds merchandise and free tickets to home games. Cincinnati is the original home of the firefighting profession and the Fire Museum of Greater Cincinnati is a must-see attraction for all families visiting the city. Children will have the chance to slide down the fireman’s pole, see a variety of modern and ancient fire-fighting equipment and experiment with several hands-on interactive exhibits. At the Safe House exhibit children and their families can learn how to respond in case of a real fire in their home – a very valuable lesson. Children can also watch a short movie all about firefighting. The museum hosts children’s birthday parties – you will need to bring all the refreshments but the children will enjoy a guided tour of the museum as part of the fun. 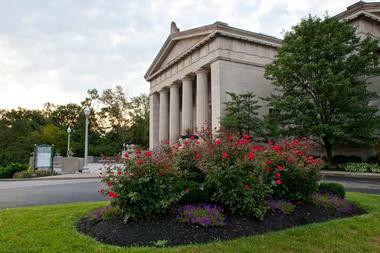 Make sure that your children are exposed to the wonderful world of art from a young age by bringing them to visit the Cincinnati Art Museum. The museum hosts a number of art experiences for children starting with infants and their parents who are invited to attend a Baby Tour on the third Thursday of each month. Families will also enjoy their Family ARTventure tours on Saturdays and the Family ARTventures Stops on Sundays, where children can get up close and touch various art exhibits. If you are lucky enough to live close by you can enroll your children in a variety of wonderful year-round art workshops and camps. 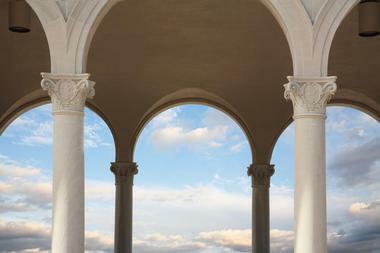 Best of all – most of the workshops and tours are entirely free. 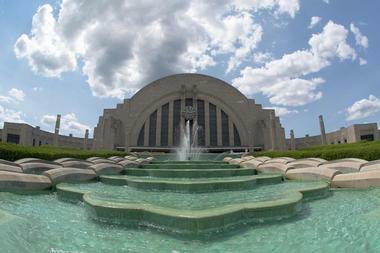 After undergoing a complete re-vamp, the Cincinnati Museum of Natural History and Science is one of the city’s most exciting and educational attractions for families. Here children of all ages can have a fun day learning about all aspects of natural history and science as they tour a large collection of interactive exhibits. Children all love dinosaurs and will be able to get up close to six of these enormous beasts in the Dinosaur Hall. In the Mummies of the World Exhibition everyone can learn all about Umi, the Egyptian mummy, and in the Cave children can have fun exploring all the mysterious nooks and crannies of a reconstructed limestone cave. Cincinnati families are exceptionally fortunate to have frequent access to world-class art facilities like the Taft Museum of Art. If you are visiting with young children you are invited to come along to the museum’s Taft Junior program (held on the first Thursday, September through May) when 3 to 5 year olds (and their care-givers) are entertained to Story Time and fun art making. The Explore, Create and Play events happen every 3rd Sunday and older children can enjoy one of their regular Family Art Adventures. If none of these dates are suitable you can just bring the family and explore the wonderful art collection of the Taft on a self-guided tour. Sprawling Eden Park is located along the west bank of the Ohio River where it is a popular green space for both locals and visitors. You can bring the children here to have a good run around while you relax on a bench and absorb the atmosphere. The park also features a children’s playground, multiple walkways and scenic viewpoints and several sculptures. 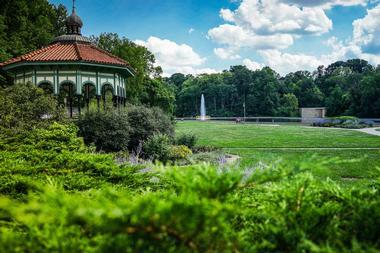 While you are there you can visit the beautiful Art Deco Krohn Conservatory and the lovely Hinkle Magnolia Garden. The park is a great place to spend a few outdoor hours with the children on a lovely day – bring along a picnic to enjoy in the picnic area. Not all children like visiting market places but if your children do enjoy shopping and tasting, the Findlay Market is sure to please the whole family. The market operates Tuesdays to Sundays (and features a seasonal Farmer’s Market on Saturdays and Sundays) and is a Cincinnati legend – locals come to buy farm-fresh produce including vegetables and fruit, meats, cheeses, eggs, preserves and much more. In addition to all the delicious foods on sale you will also find home-made soaps, candles and other unique household necessities. You will find plenty of tasty treats to fill tummies and keep little visitors happy. 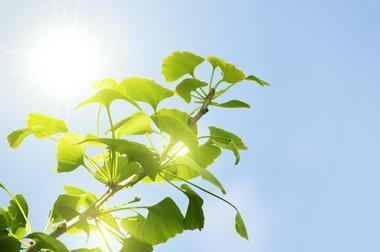 For a welcome change from visiting museums and entertainment venues you can bring the children to have some outdoor fun at the Fleischman Gardens which are located close to the Cincinnati Zoo. The gardens were once the private garden of Charles Fleischman (of Fleischman Yeast Company) and were donated to the city by his heirs in 1925. Here you can spend some time walking around the beautifully landscaped gardens and watching the children have some fun at the children’s playground. There is also a hopscotch area and an evergreen maze where kids can enjoy playing hide and seek. The park is open from 6am to 10pm. 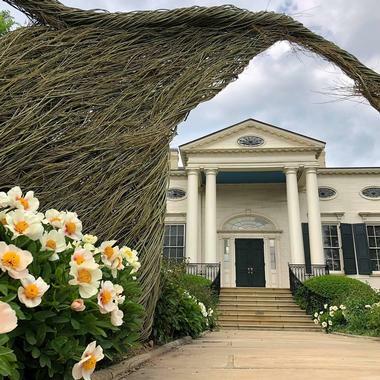 Ault Park covers an area of around 224 acres and it’s very scenic location makes it a popular venue for various festivals and events. However, it is also an idyllic place to spend some outdoor time with children. You can bring along a picnic to enjoy at the picnic area or rent the pavilion and host your child’s birthday party in the park. 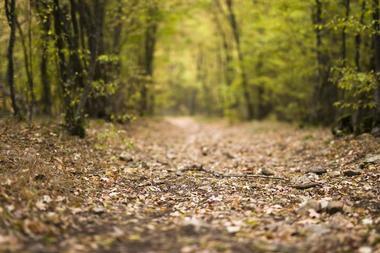 There are several lovely nature walks/hikes which are suitable for all ages. The park is teeming with butterflies and birds and there is also a well-maintained playground for the children and well as large grassed areas where they can run around. If your family is into cycling they are going to love the Loveland Bike Trail which follows a former railroad track for 70 miles through the beautiful Little Miami State Park. The trail is entirely paved, partially shaded and almost completely flat which makes it a perfect trail for young riders. Several sections of the trail are suitable for families with young children including the one-mile section to Riverview Park where there is a great children’s playground where you will find restrooms, drinks machines and a water fountain. Older children might enjoy longer sections of the trail and you will find plenty of places to stop for drinks and snacks. 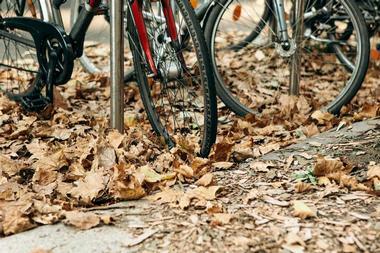 You can rent bikes at Loveland Bike Rental. Accessible from Mt. Airy and Westwood, Mt. 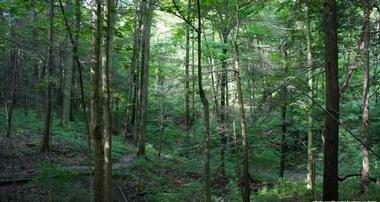 Airy Forest offers families an enormous outdoor recreational space to explore. The park covers 1,475 acres and has miles and miles of hiking and bridle trails which will lead you through a magnificent area of trees, shrubs and flowers against the backdrop of scenic Mt. Airy. There is a modern adventure playground where the younger visitors can have fun, including a brilliant tree house for them to explore. You can enjoy a picnic or barbecue at one of the park’s 23 picnic areas, all of which have charcoal grills, tables and swing sets for the children. 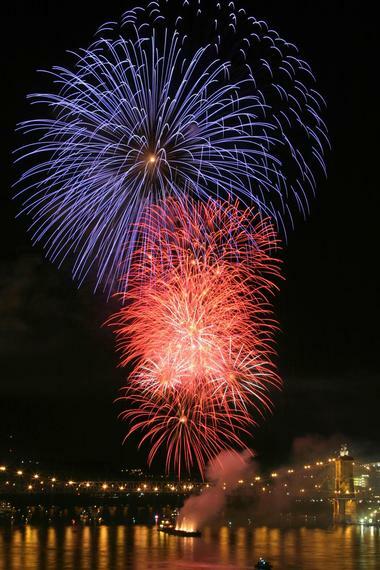 One of the year’s most eagerly anticipated family attractions, the WEBN Fireworks at Riverfest takes place each year on the Sunday of the Labor Day weekend. The event starts at noon and families are encouraged to arrive early to find the ideal place from which to view the 30-minute firework display which commences at 9pm. Riverfest includes non-stop family fun at family fun zones, all day live music, and a variety of vendor booths. 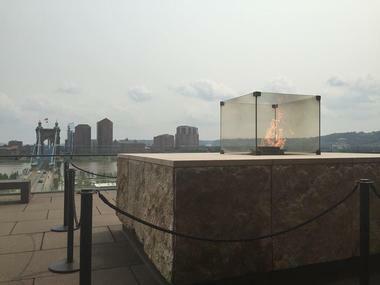 There are several places along both sides of the river that offer excellent viewpoints – you can consider Smale Riverfront Park on the Ohio side or pop across the river to Covington or Devou Park on the Kentucky side. 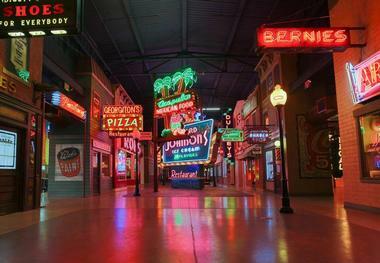 The American Sign Museum is an interesting place to spend a few hours with the family on a rainy afternoon, and will give adults a nostalgic walk down memory lane. Once you step inside the museum you will find yourself on the quaint cobbled Main Street, complete with various shop-fronts showcasing a huge collection of antique and modern signs which cover almost a century of American history. To make the most of your visit you could arrange to join a guided tour, offered from Wednesday to Saturday at 11am and 2pm (Sunday only at 2pm) – week-day tours usually include a neon sign demonstration. Good news for families is that three children are admitted free with each paying adult. 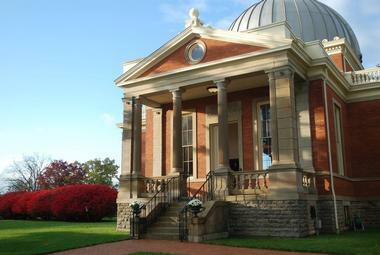 The Cincinnati Observatory offers your children a window to the stars and the chance to observe the universe through the oldest public telescope in the country. The Observatory offers daytime tours each afternoon from Monday to Friday, when children can see the famous old telescopes and enjoy safe solar viewing if the weather cooperates. To see the brilliant night skies you can bring the kids to the observatory on Thursday, Friday or Saturday nights when they will be able to enjoy a guided star gaze through the venerable old telescope. On cloudy nights you will be given a historical tour of the observatory instead of star gazing, so you are advised to choose a clear night for your visit. Graeter’s Ice Cream is still producing a superb selection of delicious ice creams in small-batch French Pots just as they have been for the last 145 years. 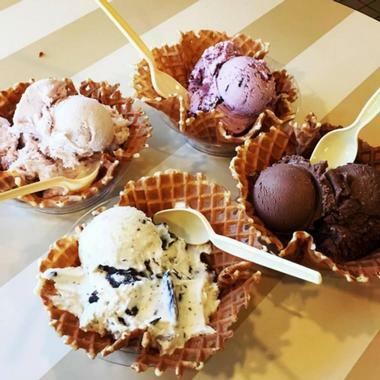 Situated on Walnut Street, right in the heart of Cincinnati’s central business district, their Fountain Square shop is the ideal place to take the family for a sweet treat. You can choose from a selection of perennial classics or try one of their seasonal, limited-release special flavors. There are a variety of home-made toppings, dips and syrups to personalize your treat. If you are not a great ice cream fan you can enjoy one of their legendary shakes, malts, smoothies or sundaes instead.